Here's Dr. Chopra fueling up for a busy day. Specializing in minimally invasive, targeted procedures, MIMIT offers treatments that offer less risk, less pain and less recovery time compared to traditional surgery. Along with our industry-leading health care, we focus on our patients "living their best life" with healthy lifestyle strategies and wellness solutions. Dr. Romi Chopra was honored with the Distinguished Physician Award and the U.S. Congressional Medal For Outstanding Contributions And Excellence In Patient Care And Teaching on Saturday, November 17, 2018, presented jointly by Rep. Danny K. Davis (D-IL) and Rep. Peter Roskam (R-IL) at the 38th Indian American Medical Association Annual Gala Banquet. Dr. Romi Chopra was presented with the two awards for outstanding contributions in the field of Interventional Radiology and excellence in patient care and teaching. “Dr. Chopra has excelled and made a difference in hundreds of people’s lives,” expressed the Indian American Medical Association-Illinois (IAMA-IL). Excellence in patient care and teaching are the cornerstone principles that help drive Dr. Chopra. Along with his in-depth understanding of complex patient conditions and passion for delivering care utilizing state-of-the-art technology, Dr. Chopra delivers exceptional patient care of the highest quality. Respected for his innovative, kind, authentic patient-centered care and a holistic approach to life, Dr. Chopra offers a health care paradigm integrating the healing and nourishment of the spirit (soul), mind and the body. Combining his Eastern roots and extensive Western medical experience, Dr. Chopra unifies the best of both worlds. Dr. Chopra opened the Midwest Institute for Minimally Invasive Therapies (MIMIT Health) in 2004. As an interventional radiology and endovascular therapy practice, MIMIT Health specializes in minimally invasive treatments for arterial disease such as peripheral artery disease (PAD), uterine fibroid disease (UFE), venous disease and musculoskeletal disease (spine interventions). Dr. Chopra believes the path to long-term success lies in treating patients’ spirit, mind and body – not just their medical conditions. His institute has given him the opportunity to create a well thought out environment where patients and their families can feel calm, receive the information they need and be treated with cutting-edge healthcare technologies. IAMA-IL promotes the standard of practice in the art and science of medicine for the common interest of its members and the public through educational, social and scientific activities. IAMA-IL helps physicians connect and maintain a close liaison with local, national and international medical societies and organizations. You have been feeling pain in your abdominal area since last Monday; despite taking over the counter pain meds the pain has gotten worse. Now that you think about it, you are long overdue for your yearly check up. Instantly your mind floods with anxiety-ridden ‘what ifs’. What if this abdominal pain is somehow related to my irregular period cycle? This is the point where you start to Google your symptoms in hopes of figuring out what’s wrong. Eventually, it all becomes too much for you. You find a way to distract yourself only to revisit these feelings again when the pain becomes worse. But what is stopping you from seeing your doctor? It is important to understand the reasons you might be afraid to visit your doctor. It is also important to understand that it is a pretty common fear. But it’s not a fear of seeing your doctor that stops you from getting a check-up, it’s the fear of the unknown. In our minds, we manage to think of the worst-case scenario, by not going to the doctor you’re pushing off the possibility of facing what could be wrong. Seeing your doctor helps address the issues you are having and prevent something from becoming the worst-case scenario. Getting over your fear of visiting your doctor can be a tall order to fill. Here are some tips to help you manage your anxiety about visiting your doctor. Dr Romi Chopra Joins eHealth Radio Network For Interview On treating Uterine Fibroids, Peripheral Arterial Disease, Varicose Veins, And More. Dr. Paramjit "Romi" Chopra, M.D., the Founder and CEO of the MIMIT Health joins eHealth Radio and the Health News & Radiology Channels for a dynamic and educational interview regarding health care matters that combines state-of-the-art minimally invasive surgeries with a holistic eastern medicine to treat uterine fibroids, peripheral arterial disease, varicose veins, among many other conditions. Dr. Romi Chopra will address the Illinois International Pageants Event Saturday, November 10th as the Keynote Speaker at the Reception from 6-8. Dr Chopra will speak on the topics of “Healthy is Beautiful” and “Health is the new wealth.” Miss International 2018 will be in attendance for the event. MIMIT Health entered into a partnership and sponsorship with Illinois International Pageants to bring awareness to MIMIT’s “Healthy is Beautiful®” campaign and the importance of a healthy lifestyle by increasing national exposure to young women. Through this, we expect to raise awareness that “Health is the new Wealth” and increase the self-esteem of women across the nation. The International Pageant system promotes today’s women, their accomplishments, and commitment to integrity, community and being positive role models. As the premiere pageant for pre-teens, teens, young women and married women, International Pageants® offers women of all ages all around the world to achieve their life goals. MIMIT Health continues to grow and expand its reach into four new locations in Kindred Hospitals to better serve its patients. MIMIT Health is respected for its excellence in patient care, health care & medical education. MIMIT Health strives to offer best-in-class patient-centered care and a holistic approach to life. Kindred Hospitals are transitional long term acute care facilities offering the same in depth care that are offered in traditional hospitals, but for an extended recovery period. Kindred Hospital partners with MIMIT to offer 24-hour clinical care seven days a week so patients can start their journey to wellness. MIMIT Health provides world class health care combined with minimally invasive treatments for its industry-leading health care. MIMIT specializes in minimally invasive, targeted treatments that offer less risk, less pain and less recovery time compared to traditional surgery, MIMIT's world-class doctors, surgeons and Interventional Radiologists manage conditions that once required surgery and can be treated less invasively by their doctors. “We focus on our patients "living their best life" with healthy lifestyle strategies including nutrition, exercise and wellness solutions.” Dr. Romi Chopra said. If you have any questions, call MIMIT Health at (708) 486-2600. Dr. Chopra is an accomplished Interventional Radiologist respected for his innovative, kind, authentic patient-centered care and a holistic approach to life. His care paradigm integrates the healing and nourishment of the spirit (soul), mind and the body. The International Pageant system promote today’s women, their accomplishments, and commitment to integrity, community and being positive role models. As the premiere pageant for pre-teens, teens, young women and married women, International Pageants® offers women of all ages all around the world to achieve their life goals. Plus, come meet and hear Dr. Romi Chopra. Dr. Romi Chopra's Past Appearance on Chicago's Popular TV Show Check Please! It’s no secret that Dr. Chopra loves what he does as Founder and Chairman of MIMIT Health. 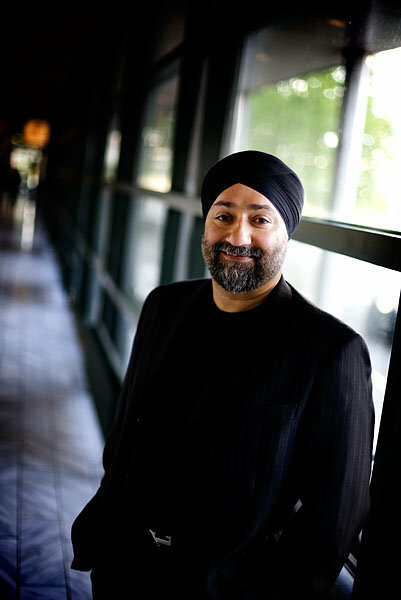 As Founder of MIMIT Health, specializing in minimally invasive targeted treatments, that offer less risk, less pain and less recovery time compared to traditional surgery, Dr. Chopra also, believes the path to long-term success and happiness lies in treating patients’ spirit, mind and body – not just their medical conditions. What does this have to do with food? Well, Dr. Chopra considers himself a foodie and loves to experience the flavors and spices of the world with his friends and family. Enter Check Please! Dr. Chopra appeared on this popular Chicago TV show to spread the word and his love of warming the spirit, mind and body with good food. Back-to-school time often gets us back into a routine. And it’s a great time to think about our health. We talked to a few experts to find out some things African Americans specifically should look out for while taking care of our health. While some of the major health issues like heart and kidney disease, cancer, stroke, high blood pressure, diabetes, HIV/AIDS, sick cell disease, and lupus are among the more serious health problems Black people face, uterine fibroids in African-American women are also an issue. Though uterine fibroids typically are not life threatening, the level of pain, and interruption of daily life, calls for attention. While fibroids typically are noncancerous growths of the uterus that often appear during childbearing years, it’s not known for sure what causes them. They reportedly grow rapidly during pregnancy when hormone levels are high and shrink with anti-hormone medication. For more than ten years there has been a clear trend toward outpatient treatment facilities in the United States. New methods for anesthetizing patients and the increase in minimally invasive interventions create support for operations in which the patient can go home within just a few hours or days. Dr. Paramjit Chopra is pushing the boundaries and is at the forefront of this trend. You have lived and worked in the USA for nearly 30 years. Looking back at the beginning of your career, what are your thoughts? As a medical student from India, I came to a country in which education and the power of innovation were the top priority and the possibilities seemed unlimited. This fascinated me right from the start. Even though my early years as an unpaid research fellow were difficult, I always kept my eyes on the American Dream. I struggled every day to achieve success and I felt like a salmon swimming upstream. Being a native of India, in what ways has your former home influenced the development of your career? It was only after I came to America that I understood how much Indian culture and religion had influenced me. For me, there is no difference between Christians, Muslims, Hindus or other religious groups. The people are what count, no matter if they are black, white, yellow or blue. Now, in my profession, I combine the spiritual thinking of India with my medical knowledge from the West. This means that, in the end, treating the person as a whole is important to me, keeping their feelings and fears in mind, and not viewing them just as a patient.